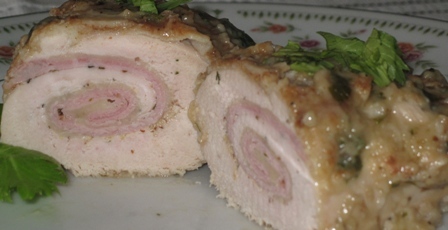 If you would like to put together a meal that is easy to prepare, but looks complicated, you will love this recipe for Chicken Cordon Bleu. You can use plain chicken breast, but I prefer a more flavored taste, so I marinate it for an hour, or overnight, in an Italian Salad Dressing. For simplicity and ease, I also use Campbell’s Cream of Chicken or Cream of Mushroom soup, for the sauce. 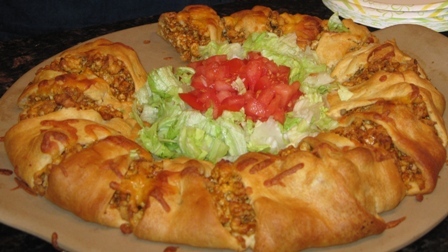 If you are looking for a quick and simple idea for a party food that is filling, appetizing, and great tasting, you will love the Turkey (or Beef) Taco Ring. It looks great and your guests will think that you slaved over it for hours, but it only takes about 15 minutes to prepare and 25-30 minutes to bake. You can’t beat that! 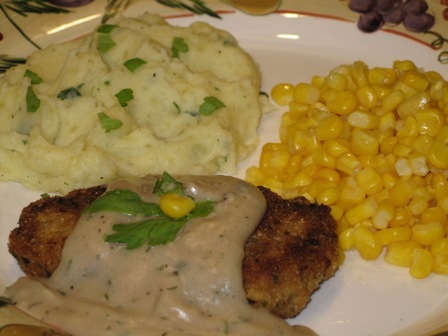 This Chicken Croquettes (Cutlets) recipe is a creative way of making a new meal out of leftover chicken, or turkey meat. When I roast a whole chicken for the two of us, I end up with three meals out of that one bird. Thanksgiving is almost here. 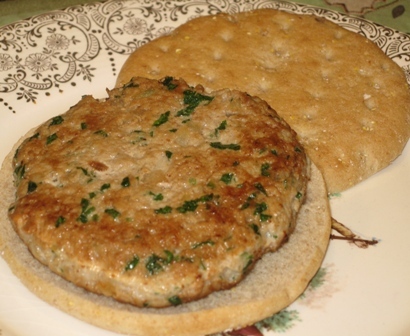 You love turkey, but this year you want to keep it low key, and I have just the right recipe for you….ASIAN-STYLE TURKEY BURGERS!!!! If you are planning a party and need ideas to expand your menu beyond the chips and dips, Swedish Meatballs will to the trick. You can make these from scratch, or cut on preparation time, and buy ready made Italian Style frozen meatballs, just add the sauce, and cook. 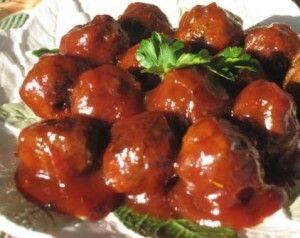 I tried the ready made meatballs once, and they are almost as good as home made.